No matter if you’re an Australian who wants to enjoy the summer or someone from the Northern hemisphere trying to escape the winter, Sydney is always a great vacation choice. It has amazing food, great beer, plenty of culture and nightlife, but it’s probably the most famous for its sandy beaches. 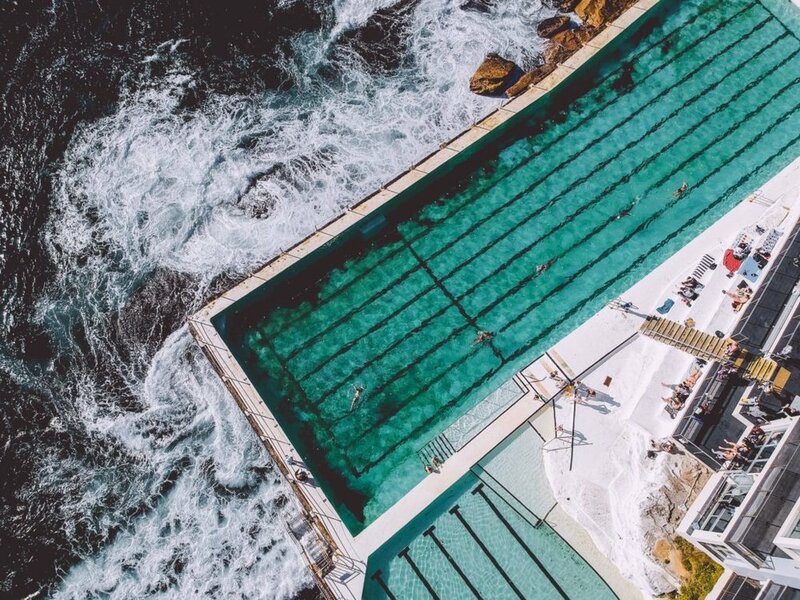 So, grab your bathing suit and your phone, because these Sydney beaches will provide you with an amazing experience and even more amazing Instagram photos. If you want to snap a few photos in peace, then you should visit Tamarama. This narrow sand strip has an air of relaxation and seclusion, even though it’s very close to the city and other super busy beaches of Sydney. Tamarama is a place where the rich come to catch a bronzy tan and surfing aficionados to catch an awesome wave. Its left-hand reef break provides this beach with some of the best waves in the city. When you get tired of snapping photos on the sand, have a breather and kick back with a fresh juice or a cocktail that’s also Insta-gold. Perhaps one of the most beautiful and peaceful of all the Northern Beaches (and the hardest one to reach) is certainly Bilgola. This little gem is hidden at the bottom of the hill and if you’re not careful, you might even miss it. However, if you still find your way through palm trees and lantana, you’ll basically reach heaven. Snap a few photos of the sunset and then have a beer or a cocktail as a reward. If you want to have photos is the birthplace of surfing in Australia, you must visit Freshwater. One day in the early 20th century, a Hawaiian wanted to show his skills with a board, Aussie people loved it and the rest is history! If you’re not a skillful surfer, you can splash in a delightful rockpool, take a few ‘gram photos, and treat yourself to a beautifully-presented lunch with refreshing drinks. If you’re looking for a perfect stretch of white sand for your Instagram feed, look no further than Long Reef Beach. At the north part of the beach, there is Long Reef Headland, an aquatic protected area, and the walk to the top offers amazing views. If you’re lucky, you can even catch a glance of whale migration! The entire 1.6 kilometers of the beach can be used for surfing, and on a weekday, you can certainly get a good wave all to yourself. Some waves reach the height of almost five meters—if you catch a wave like that and snap a photo, you’ll be a real star. However, prepare to share the beach with windsurfers and kitesurfers, whose colorful kites provide an amazing backdrop. Apart from being absolutely gorgeous, Long Reef Beach also has a golf club perfect for a beach wedding. The photos from the venue are sure to be more than Instagram-worthy. 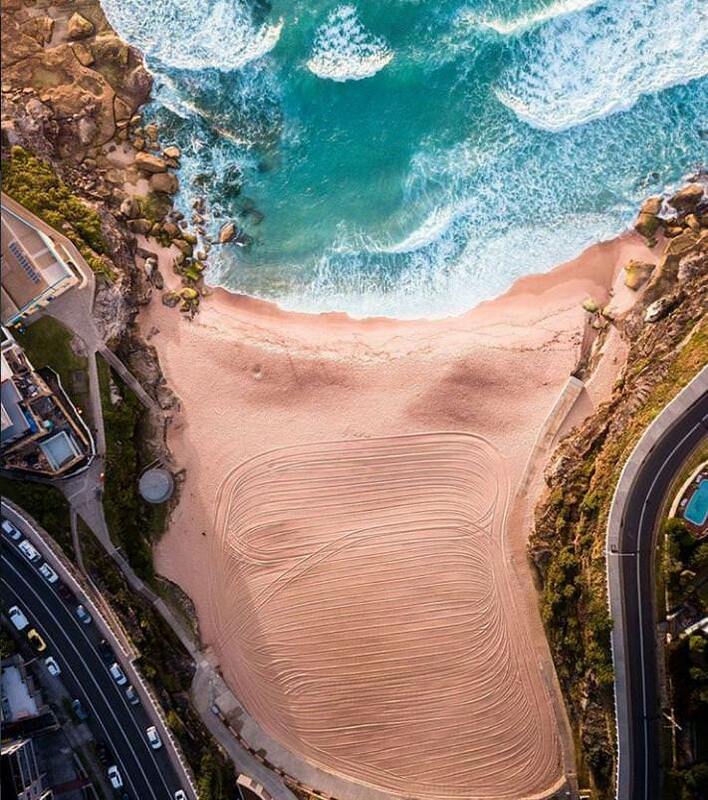 Bondi is Australia’s most famous beach, but even though it’s usually too populated for a good Instagram photo, it must not be neglected. If you visit Bondi on a weekday, you’ll be able to snap a few amazing photos and meet some friendly backpackers. Don’t hesitate to splurge on brunch at one of the cool restaurants at the beach and then watch people and time pass with a few Bloody Mary’s at Porch and Parlour. The best part of Manly is probably travelling to Manly. A cool ferry ride to the beach will provide you with many awesome photo-opportunities both of the city and of the beach. Once you get tired of swimming and taking great photos, you can chill out at one of Manly’s bars and restaurants. Barbecue at Papi Chulo will make all of your Insta followers’ mouths water. If you want a whole-day beach experience, you should travel to Whale Beach. The drive is a bit longer, but it’s certainly worth every mile because this beach’s vibe is super chill and unique. So, make a day of it to snap all the best photos, or even stay overnight in one of the resorts. So, if you decide to visit Sydney, make sure to warm up your photo-snapping hand. Its beaches will provide you with numerous photo ops that will make your Instagram blow up!